Customers can contact us for purchasing Dried Whole Yellow Peas as per the requirement. We export and supply clean Dry Whole Yellow Peas which are sourced from the reliable producers. The Whole Yellow Peas are husked and about 1/4 of an inch wide and pale yellow in color. Similar to the lentil in versatility and nourishment, these peas have earthy flavor. They break down on cooking making them excellent choice for thick and hearty soups. 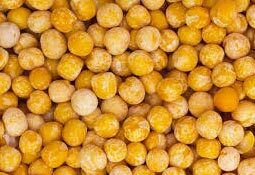 Further, Dried Whole Yellow Peas are hygienically packed to preserve their flavor and nutritional content for long.